Our last day in Tasmania was very wet and cold. It was a great day to be in a museum. The Museum of Old and New Art was opened in 2011. The museum presents antiquities, modern and contemporary art from the David Walsh collection. Walsh has described the museum as a "subversive adult Disneyland." The most remarkable feature of the museum is its architecture. 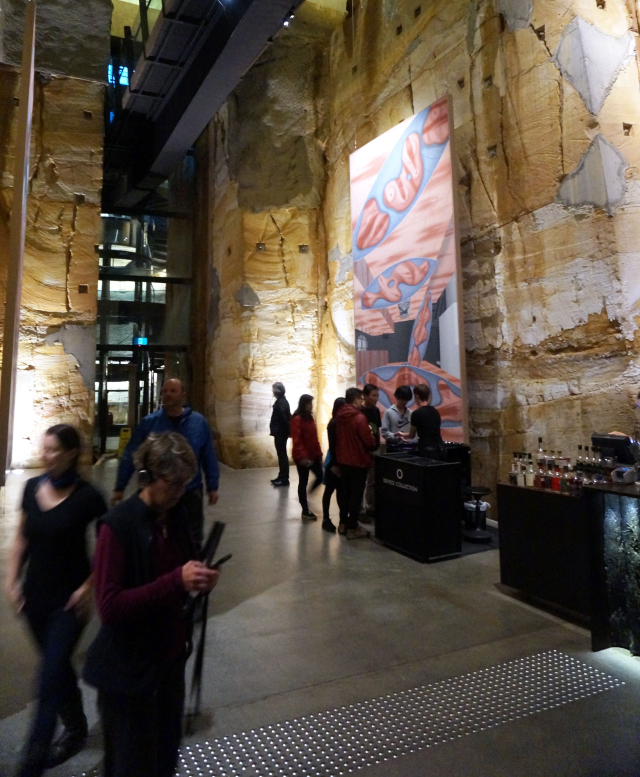 It is bored into the face of a sandstone cliff and the galleries are completely subterranean. The art hangs on three interconnected floors in the bowels of the earth. Walsh and his reclusive gaming partner made their fortunes gambling.